Drivers do the vast majority of the work that makes Uber money, and they won't even acknowledge us as part of their workforce. When Uber goes public this month, it will likely become the most valuable private company in existence. And yet the people that created most of that potential $120 billion in value — the drivers — are not valued by the company. 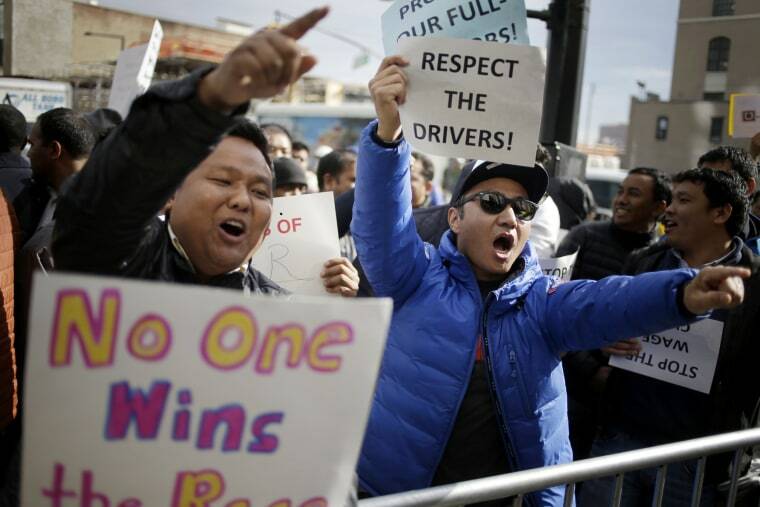 Drivers are not (in Uber’s view) even workers, though we do the vast majority of the work. We get no perks, no benefits and no security. If we are killed on the job, we receive no survivor benefits since we are not eligible for workers comp. I was sad, angry and devastated. Waheed and I have similar stories. Waheed’s family came here from Afghanistan four years ago with a special immigrant visa after serving as a translator for U.S. Army. He was studying computer science at Diablo Valley College and driving at night. I fled Egypt in 2014 and received asylum in the United States. Despite having a work permit, I had a hard time finding a full-time job, so I turned to Uber three years ago. Since then, I’ve given 8,000 rides, usually driving between 50-60 hours a week — though sometimes it’s 80. The living hourly wage — the amount of money one needs to earn to afford housing, food, medical care and transportation — is about $20 for a single adult in San Francisco; I routinely make half that. We can’t afford to live in the cities where we work, so there are parking lots throughout the Bay Area where Uber and Lyft drivers congregate, sleeping in their cars between hours-long shifts — many doing so for a few days before driving back to their homes in Vallejo, Sacramento, Stockton or other cheaper cities. There’s something wrong when the Uber CEO can buy a $16.5 million mansion but drivers sleep in parking lots. Driving for Uber is my job, not a side hustle as Uber markets itself. For many of us, driving for Uber is how we support our families and pay our rent. When Uber first started, drivers were paid fairly per mile but now, unless we drive 70 or more hours a week, there’s no way we can survive. I can’t continue working with no healthcare, no retirement and no security for my family if I’m injured or killed on the job. And many of us will receive no substantial equity when Uber goes public. We drivers risk life and limb but others, sitting comfortably at their desks, will get the reward. There are millions of people like me. More than 36 percent of American workers — 57 million people — belong to the gig economy, according to Gallup ; 29 percent of workers are doing gig work as their main job. Between 2005 and 2015, 94 percent of all jobs created were in “alternative work” like gig work, according to Harvard and Princeton economists. There are likely close to a million people driving for Uber and Lyft in the United States alone. This can’t be the future of work. A few months ago, I started organizing with a group of drivers to change the rideshare industry for the better. We are Gig Workers Rising and we are demanding Uber and Lyft give drivers a living wage and benefits like health care and retirement, commit to transparent policies on deactivation and provide the right to organize and communicate demands without retaliation. Drivers are workers and we deserve a fair share of the millions that we make for Uber and Lyft each year. We are all driving to survive, but we work for a company that makes us fend for ourselves when times are tough. Uber and Lyft can choose to change; a living wage, healthcare, paid time off and worker protections aren't too much to ask from a company potentially worth $120 billion. CLARIFICATION (April 9, 2019 6:40 p.m. ET): In an earlier version of this article, Uber officials declined to respond to the writer's assertion that the company had not reached out to Etimad's wife or children. After the article was published, an Uber spokesman said the company was in contact with the family, though he declined to provide any details. Mostafa Maklad is an Uber driver and an organizer with Gig Workers Rising.